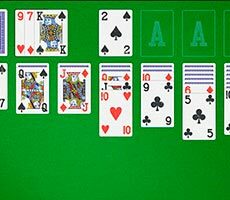 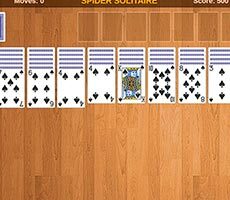 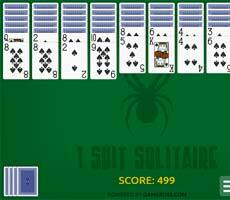 Have you ever played Kerchief Solitaire? 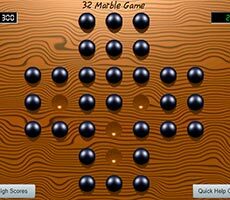 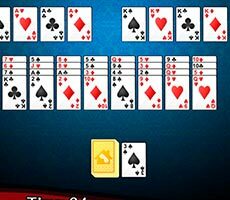 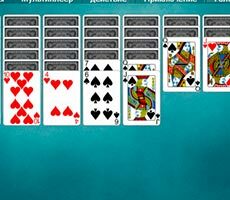 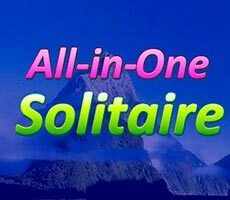 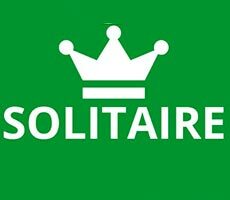 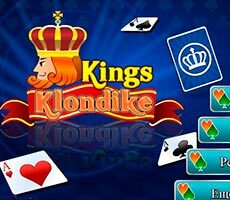 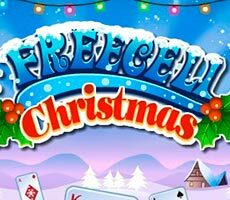 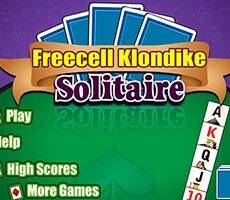 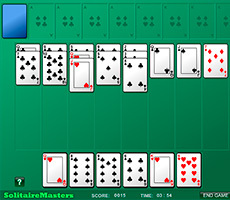 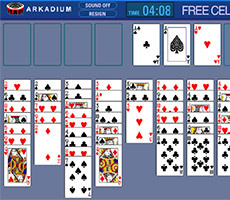 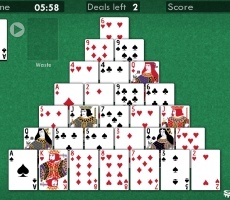 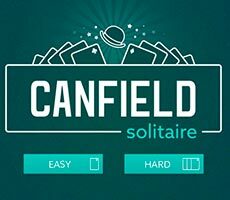 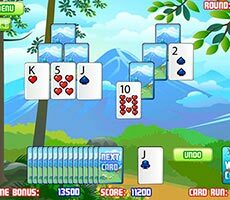 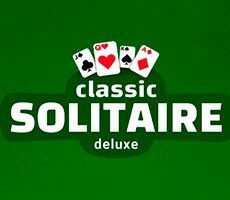 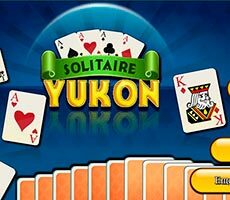 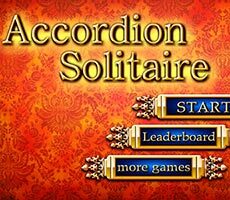 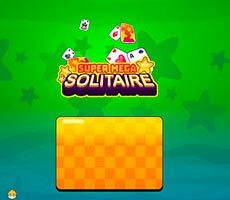 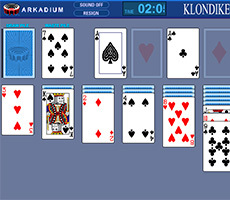 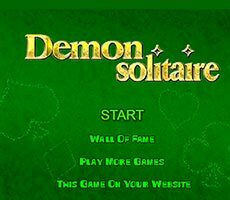 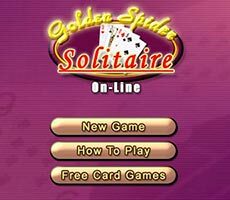 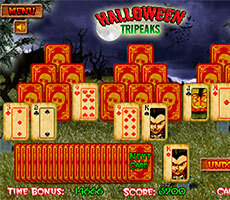 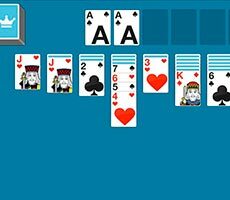 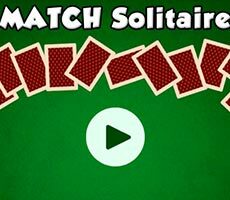 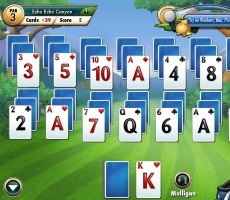 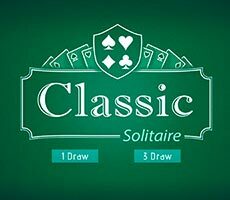 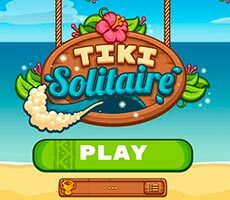 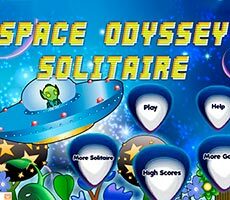 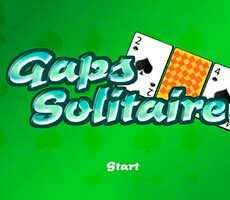 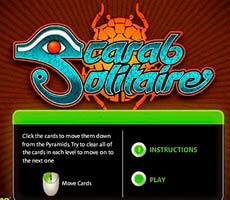 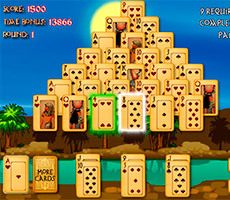 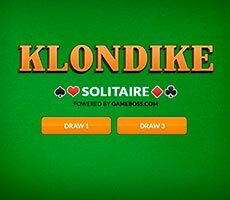 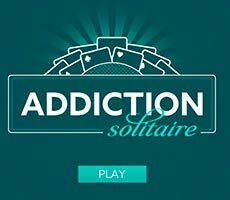 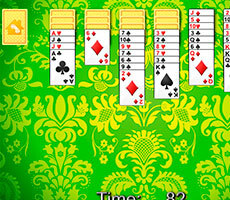 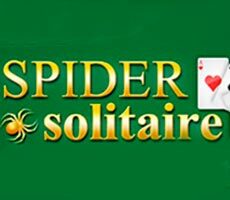 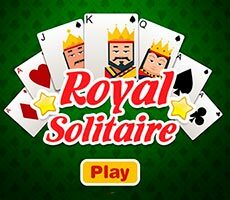 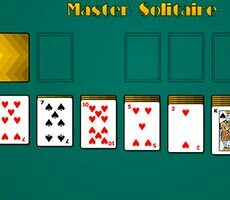 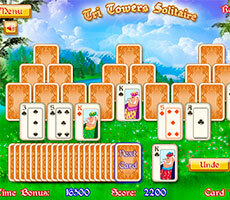 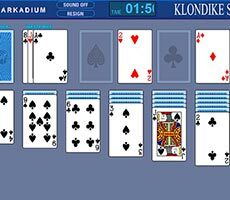 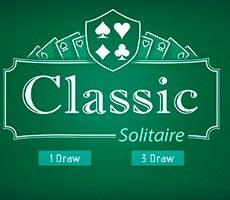 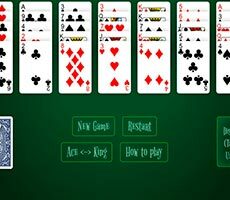 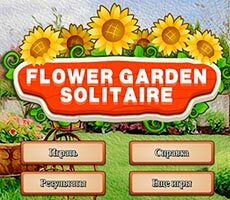 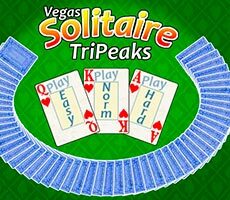 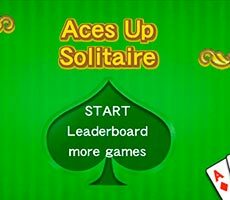 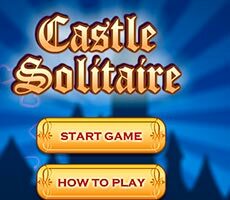 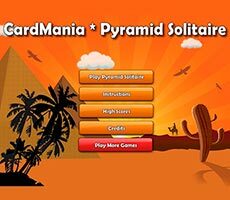 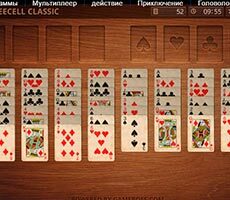 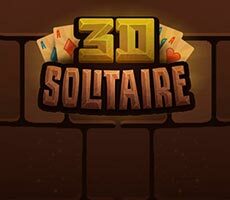 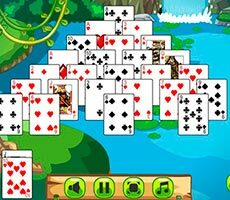 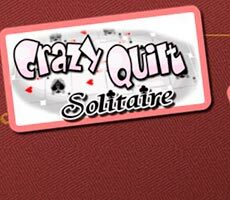 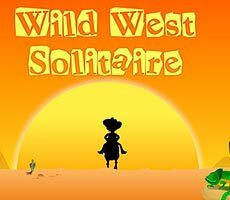 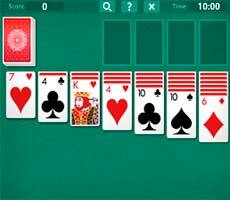 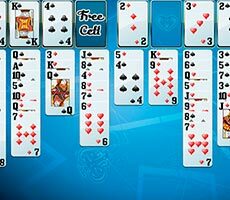 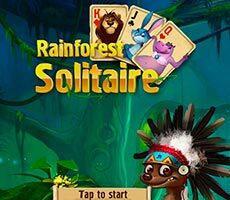 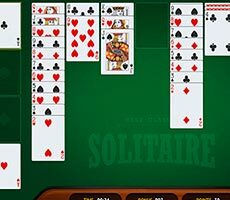 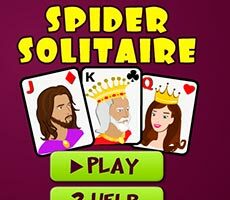 Then you will cope with Klondike Solitaire. 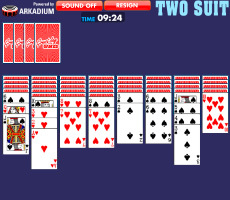 Of course, if you have time to. 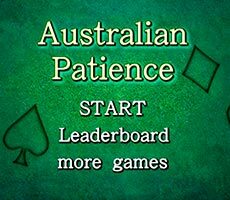 There are a lot of those wishing to play, so the game time on the gold-bearing vein is strictly limited to three minutes. 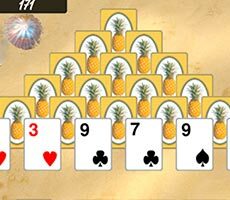 You will earn as many points, taking into account the value of card nuggets, as many cards you will move out of the layout to the base. 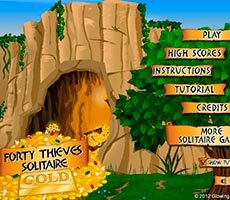 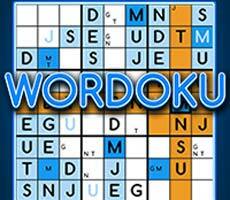 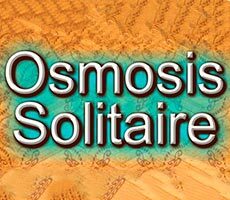 You can save the results and even show them in social networks, infecting your friends with Gold Rush. 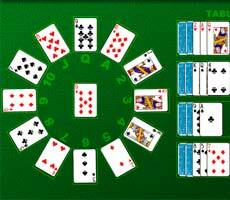 The cards are laid out on the cloth in seven columns in the shape of a kerchief. 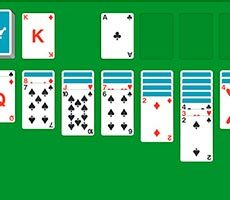 There is only one card in the leftmost corner, in the rest columns each time there is 1 more card. 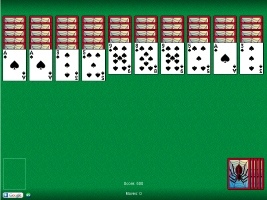 Only the top cards are open. 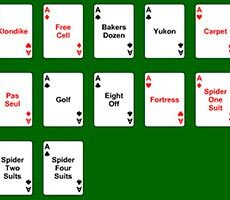 To access the ones that lie below and are closed move the top card of the column to another column or to the “house”. 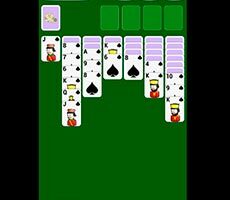 You can move cards alternating red and black suit in descending order in the column you are building. 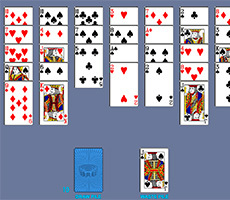 King is the major card. 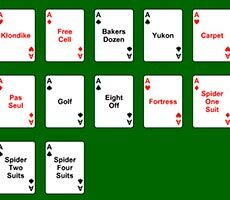 You lay out the cards in the “house” according to their suits, Ace is the initial card and the order is ascending. 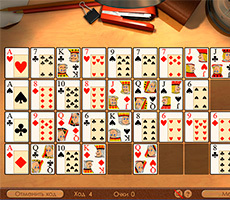 If all possible moves are made, you can use the stock. 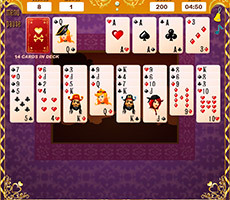 The stock deck is in the upper left corner, and when you click on it, it gives 3 cards that are transferred to the “house” or to the columns by the same rules. 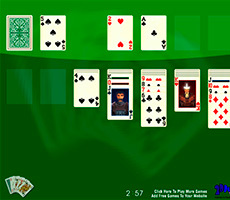 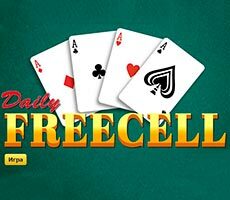 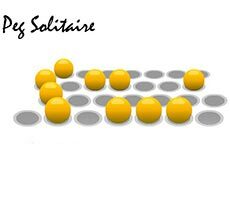 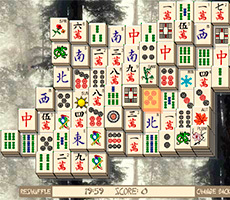 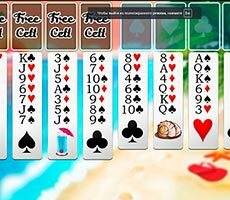 When the cell on the playing field is free, you can move the King there (single or together with a sequence of cards). 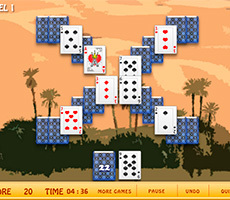 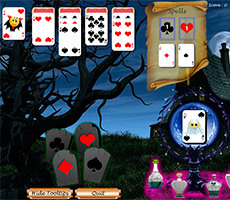 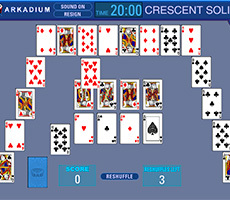 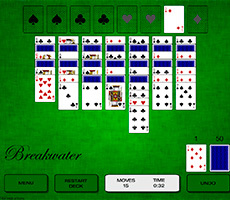 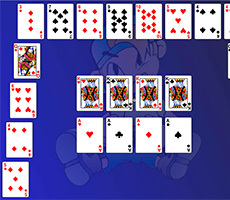 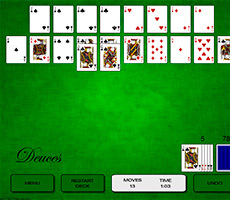 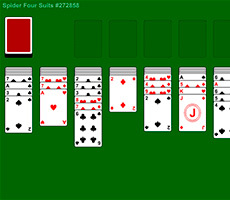 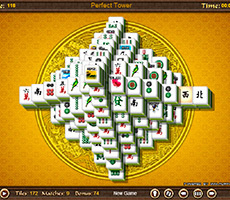 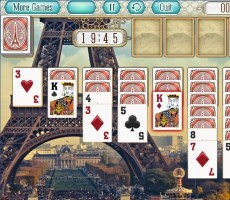 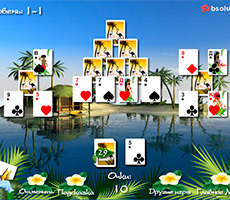 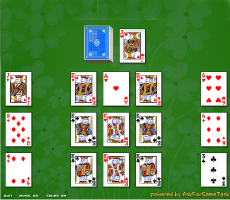 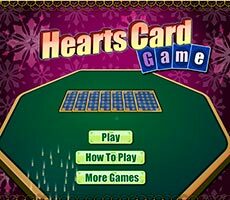 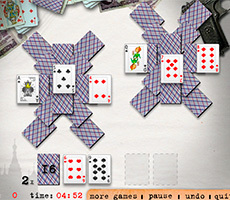 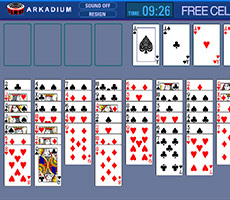 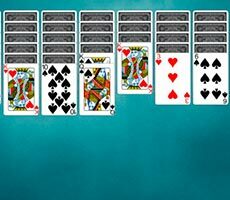 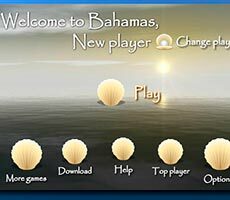 The player moves the cards to the “house” and opens the closed cards taking the extra time and adding excitement. 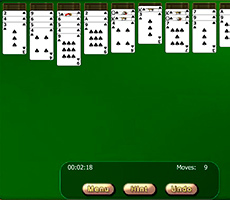 The game can be lost not only when the time is up. 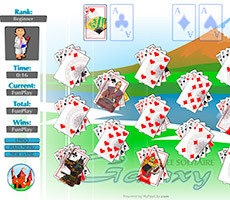 Each stock reuse takes the points, zero points means defeat.